To celebrate and promote its cultural history and social memories, National Heritage Board (NHB) has launched the Tampines Heritage Trail. 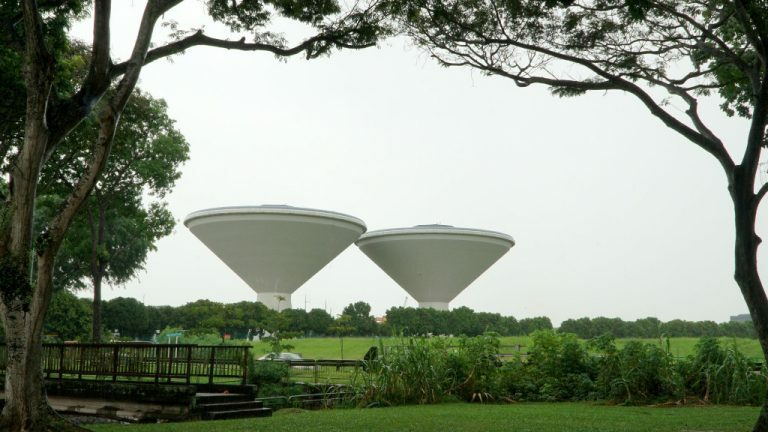 Visit 18 heritage sites and discover the fascinating stories of Tampines and its residents. Did you know that Tampines used to be much bigger in days gone by? When Tampines Road was constructed in 1847, it stretched from Kovan, then known as the ‘6th milestone’ of Serangoon Road, all the way to Changi Road. Older generations would consider Defu, Hougang and Pasir Ris part of Tampines. In fact, if you had visited Tampines even just 40 years ago, you’d have traversed the long and winding road to get to the ulu kampungs (far-flung villages) in the area! As with all NHB heritage trails, you can pick up a trail booklet which tells you all you need to know about Tampines past and present. There is also a trail map (printed in four languages) that break it into three bite-sized thematic routes that are perfect for families to explore. Each route spans an average of 6km covering both unique and overlapping features, five of which feature heritage markers. 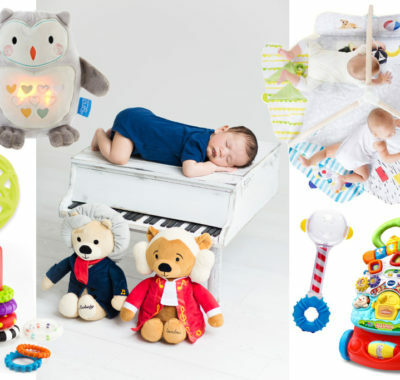 We’ve highlighted some of them below. 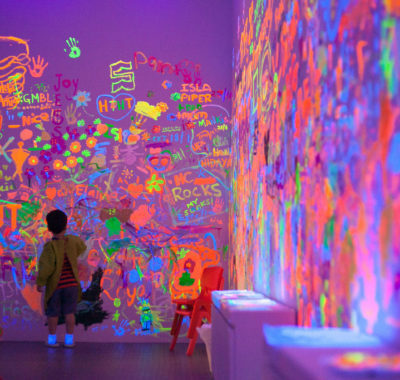 Most suitable for families with kids, this trail starts at Our Tampines Gallery, located within the Tampines Regional Library at OTH. 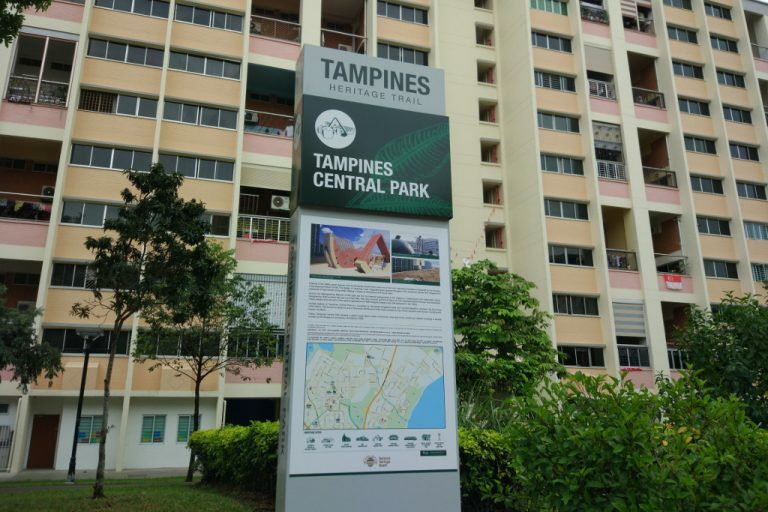 Highlights on this trail include the World Habitat Award commemorative sculpture, the iconic playgrounds at Tampines Central Park and Tampines Chinese Temple, home to 12 constituent temples and two Tempinis trees – that’s where Tampines got its name! The Tampines Round Market & Food Centre is where this trail ends. Outdoor loving families should try NHB’s very first Green Spaces Trail. Helmets at the ready, begin this cycling trail at Bedok Reservoir Park, formerly one of over 20 sand quarries in Tampines. 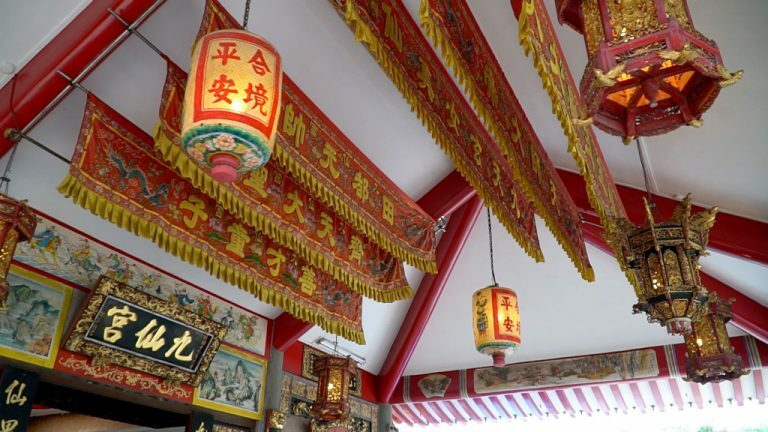 You’ll also visit heritage temples at Tampines Link. If the two futuristic-looking structures opposite – they hold up to 8,448 cubic metres of NEWater each! – make you feel thirsty, stop for a drink at the coffeeshop down the road. The row of shophouses it’s in is one of the few remaining reminders of the former Hun Yeang Village. The final stop on this trail is scenic Lorong Halus Wetland. 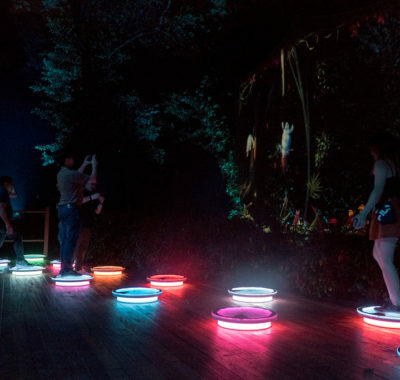 This trail will appeal to culture buffs. Tampines is home to many places of worship, some of which are over a century old. Meet the 270-metre-long dragon sculpture that ‘guards’ Tampines Chinese Temple. This trail also takes you to Masjid Darul Ghufran and the cluster of temples at Tampines Link, before ending at Catholic Church of the Holy Trinity. 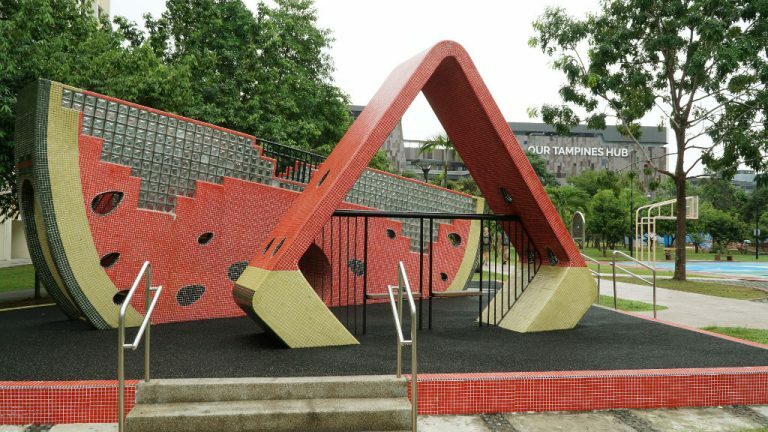 Located at Tampines Street 82, Tampines Central Park is perhaps best known for its colourful mosaic-tiled watermelon and mangosteen playgrounds. 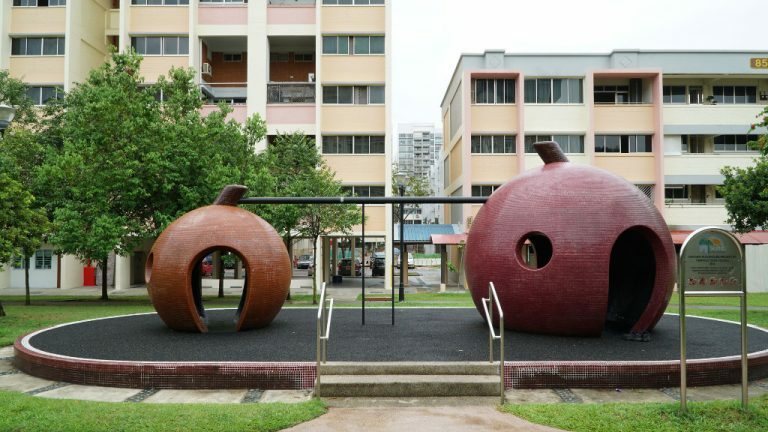 They are part of the second generation of HDB-designed playgrounds that appeared in the 1980s, after Toa Payoh’s famed dragon playground. You’ll also find Singapore artist and Cultural Medallion recipient Ng Eng Teng’s bronze Mother and Child sculpture here. Looking at Tampines Town today, it’s hard to imagine kampung life. But walking through Tampines Link provides a snapshot into the past. Kew Sian King Temple, for instance, was built near Teck Hock Village at ‘7¾ milestone’ in 1928. The row of shophouses at the end of the temple cluster, along with Hun Yeang Road and Jalan Sam Kongsi Road, are what’s left of the area’s rural past as Hun Yeang Village. Before Singapore introduced modern sanitation, night soil collectors used to transport human waste to a sludge disposal plant at Lorong Halus. It later also became the site of a landfill with rubbish piling up to 10 storeys high! The kids won’t be able to picture such a time, but the lovely reed beds and polishing ponds of Lorong Halus Wetland sit on the same site today. Almost 50 species of resident and migratory birds can also be spotted there. 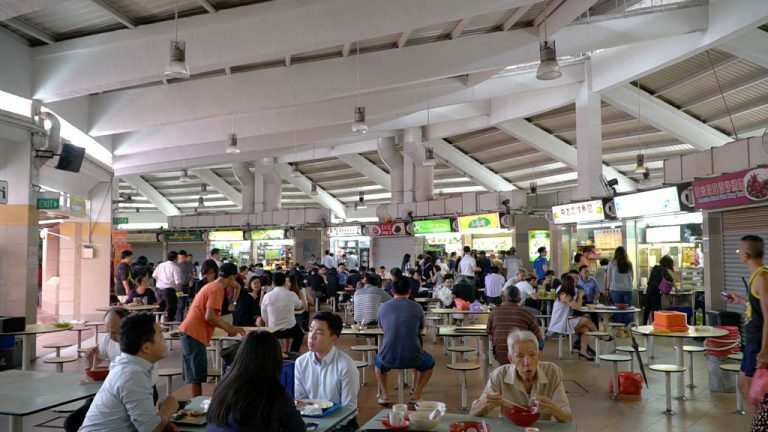 The Tampines Round Market & Food Centre is literally circle-shaped, and surrounded by a ring of shophouses. 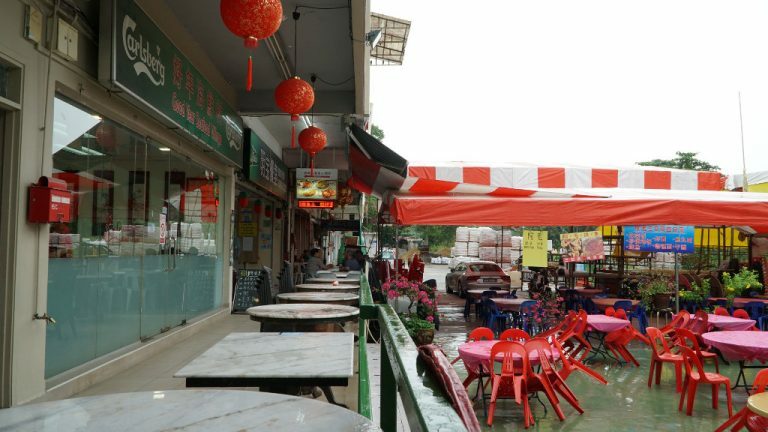 Many of the hawkers have been here since it opened in 1983, continuing to serve up delicious food at affordable prices. Must-tries include Kayat Nasi Padang (#01-37), Pig’s Viscera Pork Ribs Prawn Noodle (#01-43) and Hai Chang Fishhead Steamboat (#01-03), among many others. 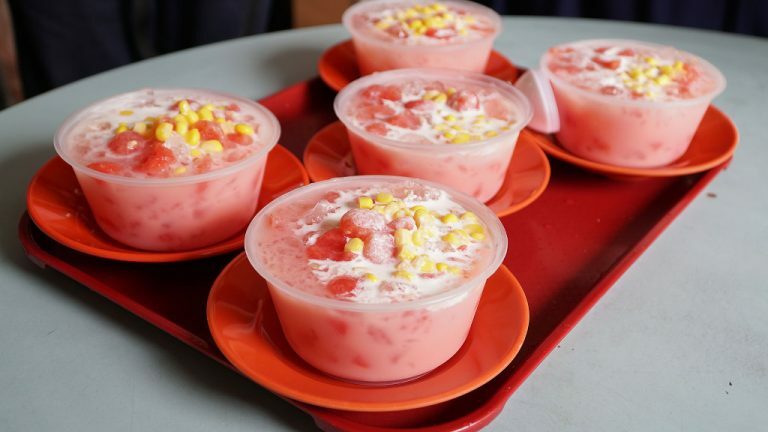 Finally, reward yourself with a bowl of sweet goodness from House of Dessert (#01-02)! 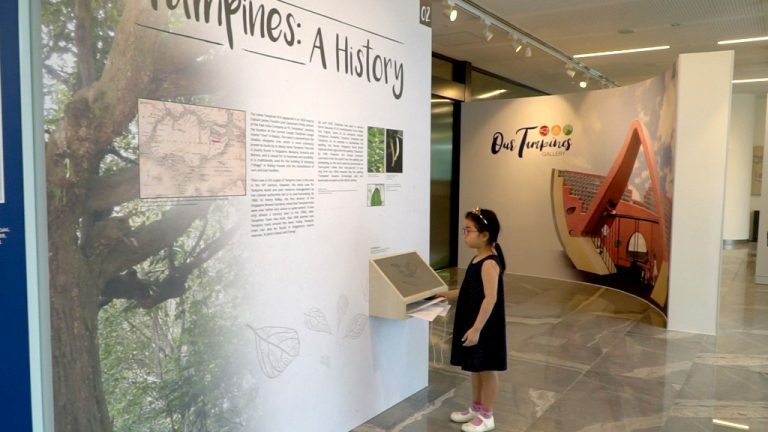 Located on Level 2 of the exciting new five-storey Tampines Regional Library in OTH, Our Tampines Gallery traces the evolution of Tampines from the early 1800s to today. 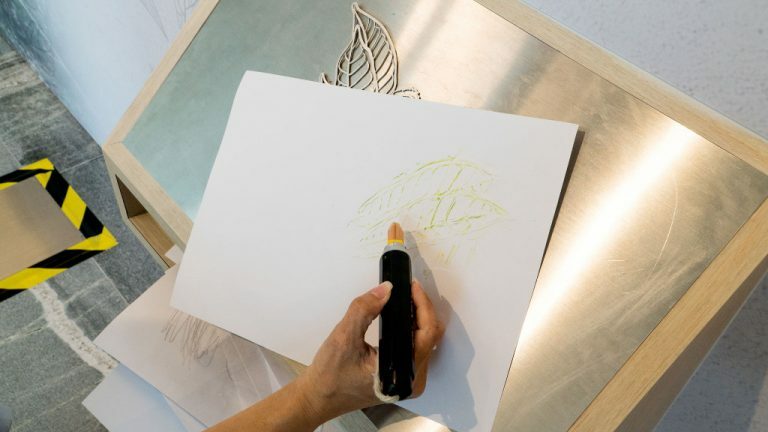 There are interactive stations where children can do leaf-rubbing art of the Tempinis tree and see how the size of Tampines has evolved. Learn more about heartwarming stories of Tampines residents past and present, and contribute your own! You can also pick up the Tampines Heritage Trail booklet and guide (or download them here). Free guided tours are available every Wednesday and Saturday at 3pm. The 5.3 hectare OTH complex also includes indoor playgrounds, a shopping mall and a 24-hour hawker centre. Free movie screenings and live performances take place daily at the multi-purpose atrium on Level 1. 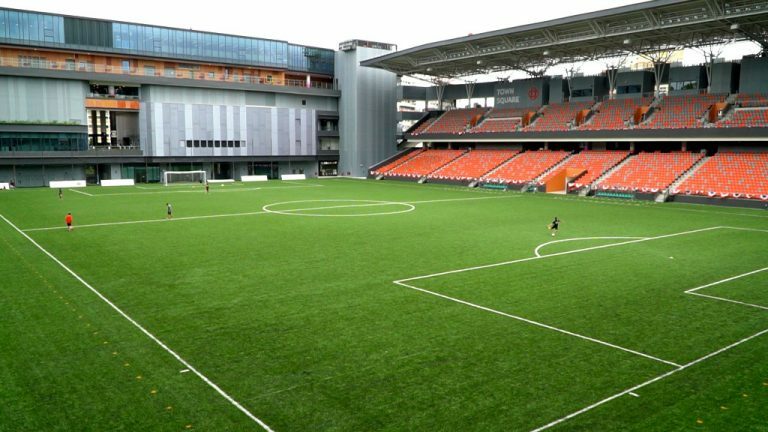 There’s also a wide range of sporting facilities including the huge rooftop swimming complex, football pitch, rock-climbing wall and an indoor jogging track that circles an eco-community garden. 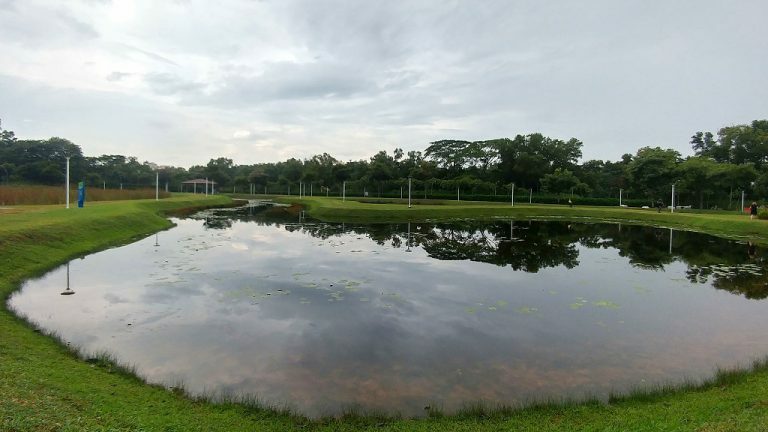 From exploring heritage trails to fun activities galore, there’s certainly plenty for the whole family to do in Tampines! Put your hands up – who’s going this weekend?